Now you can keep a canned beverage of your choice chilly cold and ready to drink at your desktop at all times! The USB Mini Fridge holds one 12 ounce can of beverage and features cool blue LED internal illumination. Its built-in cooling plate quickly drops to its lowest operating temperature within five minutes after being plugged in. 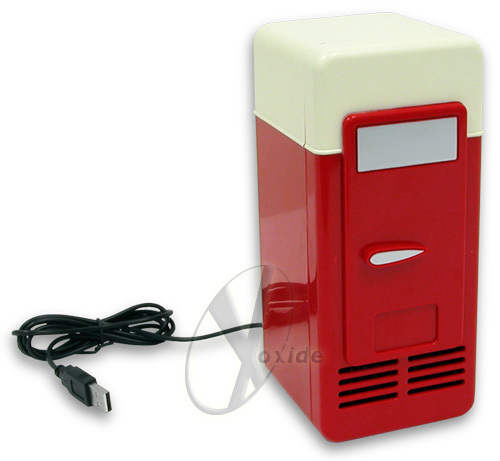 Perfect for LAN parties, offices, dorms, and your mother’s basement, the USB Mini Fridge is ready to cool your beverage anytime any place a USB port is free!